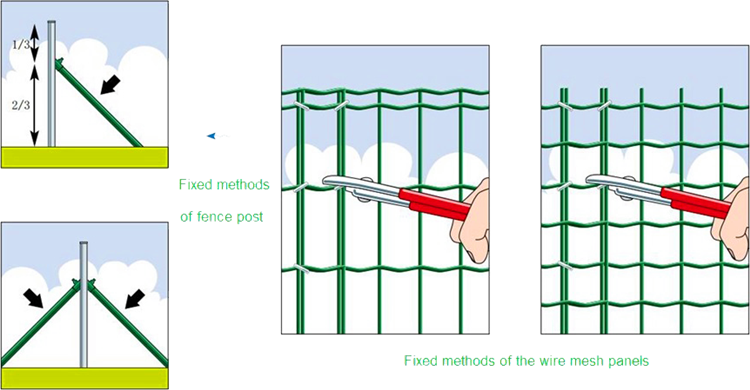 Green plastic euro welded Wire Mesh Fence,also called Holand Fence.Its production process is simple,using high quality galvanized Wire with PVC coating to weld a panel.With a special column and clip,it is mainly exported to Europe.With its economical price,it is also very popular in other countries and areas. 6.Manufacturing process: after plastic coated wire welding, also can separate electroplating, hot plating and plastic coated. With refined design,lower prices,convenient installation,this kind of item is very favorable for the users.Using high quality steel as raw material,the welded panels body is very plain and strong resistance strength.Especially the horizontal wire is wavy.Good corrosion resistance, anti aging,nice appearance,easy and quick installation.It is well suitable for a wide range of application,for example,for park,road and etc. We are the professional manufacturer all kinds of Metal Wire Mesh products. Free sample to test the quality make sure it's the right products you are looking for. Diameter from 0.13-4.5mm according to your require.And zinc coated rate from 10-200g. 3.Discount For regular and old customers.Place order for more than 3 times the discount can be 10-20% according to order quantity. Looking for ideal Electric Galvanized Pvc Holland Netting Manufacturer & supplier ? We have a wide selection at great prices to help you get creative. All the Pvc Welded Holland Netting are quality guaranteed. 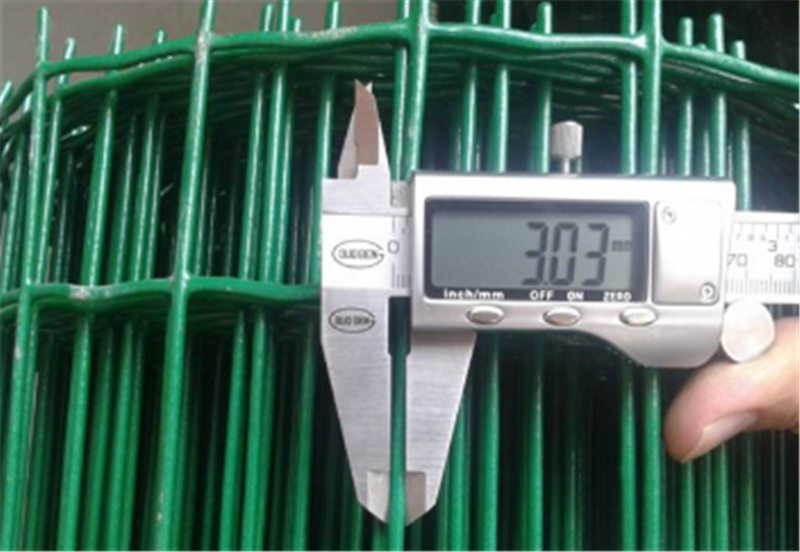 We are China Origin Factory of Welded Wire Mesh Holland Netting. If you have any question, please feel free to contact us.